The Fusetron Fuse has a fuse link element, which handles only heavy overloads; and a thermal cut-out element, which handles light overloads. Any excessive current causes the thermal cut-out to heat. The metal around the thermal cut-out, however, absorbs much of this heat and slows down the speed with which the solder in the cup-out can soften. Even on relatively heavy overloads it takes time for the solder to soften enough for the thermal cut-out to open. This results in the Fusetron Fuse having great time-lag. 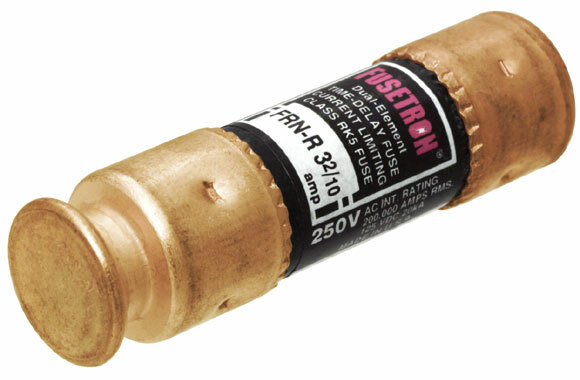 Therefore, a Fusetron Fuse, small enough to protect a motor, can be used because the heavy starting current or an overload will not open the thermal cut-out unless it continues long enough to endanger the motor. 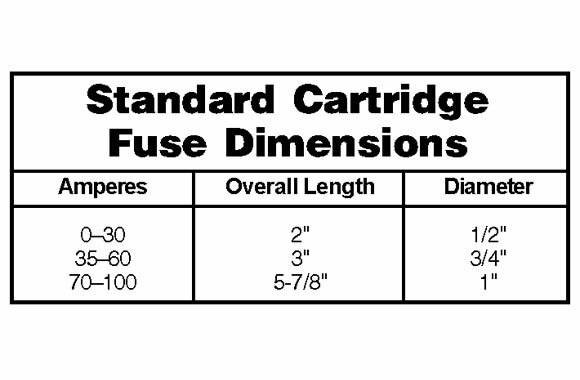 The fuse link has a capacity high enough to prevent its opening on ordinary overloads. For motor protection use the size of about 100 to 125% of motor running current. On normal installations they will guard motor against burnout from overloads or single phasing. Click any Image for full view. Item: Buss dual element fusetron. Amps: 3-2/10. Item: Buss dual element fusetron. Amps: 5. Item: Buss dual element fusetron. Amps: 10. 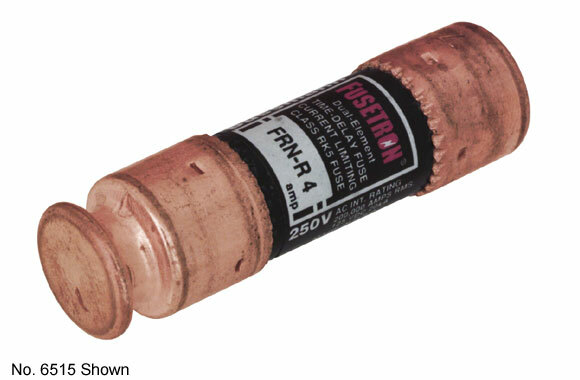 Item: Buss dual element fusetron. Amps: 30.